Parts of Argentina look like parts of Australia: fertile fruit-bearing valleys give way to dry desert and red clay with sedimentary rock plateaus looming over the landscape. Driving out of the provincial capital of Neuquén, a diverse range of scenery fell before us. We passed tall poplar trees protecting the crops of stone and pip fruit from the fierce Patagonian wind. Further along came the oil fields with derricks in motion. Then finally we arrived at our destination: Barreales, where 100 million year-old geologic layers beheld some fascinating sights for us. 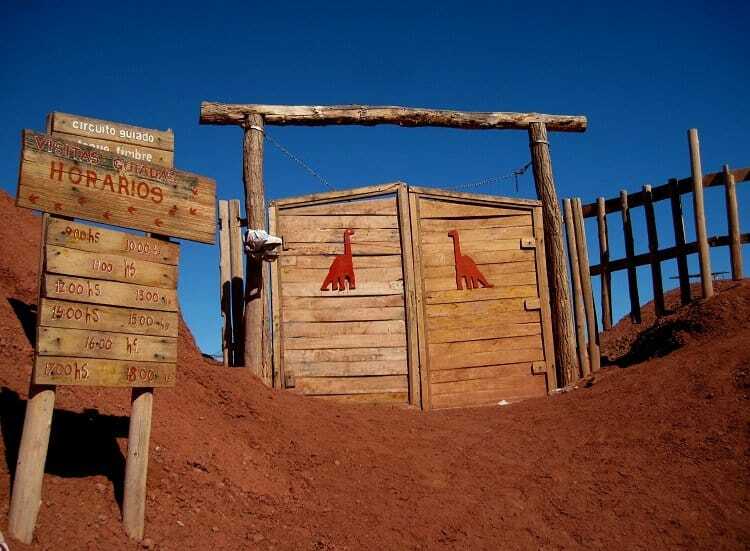 The entrance to the Lago Barreales site really got our imaginations going. 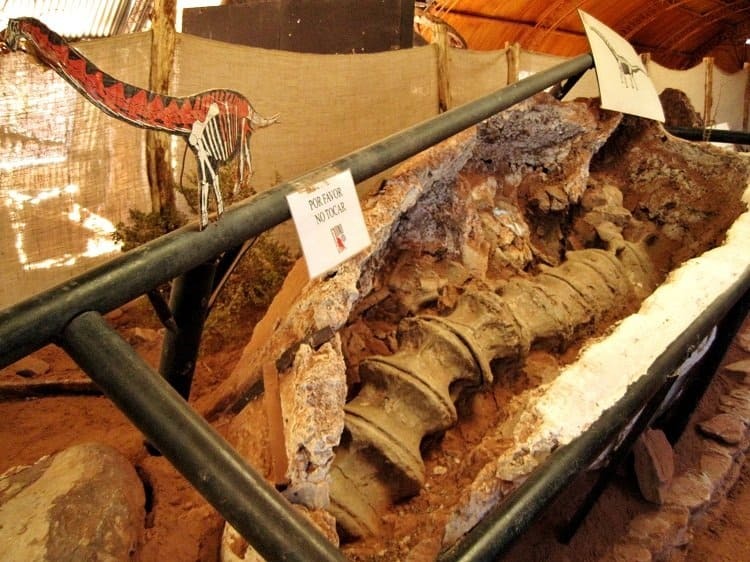 The Lake Barreales Paleontological Centre, also known as Proyecto Dino is the only excavation site in Argentina that is open to the public. An important educational and scientific site, it receives visitors from all over the world. The work of the palaeontologists began there in February 2000 and a couple of years later a permanent camp was installed so that their work could continue. Today it is still a working excavation site, fuelling the Jurassic Park fantasies of academics and tourists alike. How could we not check it out? 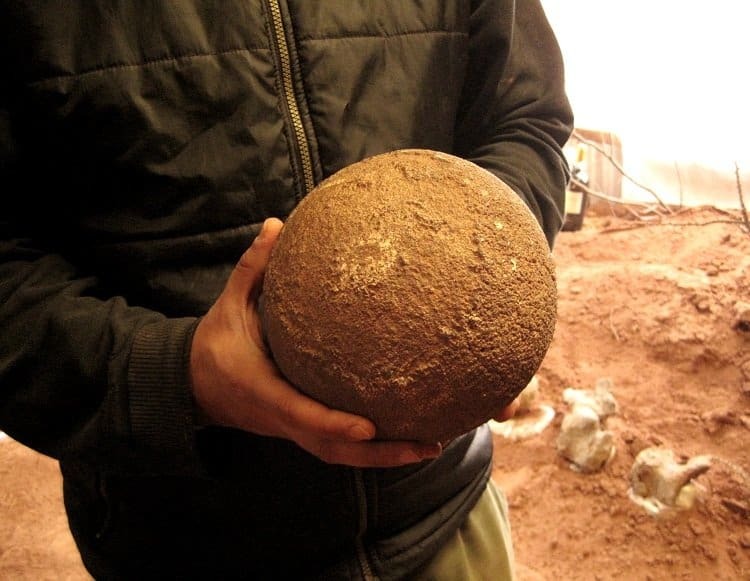 This fossilized dinosaur egg was as heavy as a bowling ball. Part of the Futalognkosaurus skeleton, the first finding at the centre and one of the most complete giant dinosaurs found to this day. A tooth and phalanx bone - just imagine the size of the entire creature! 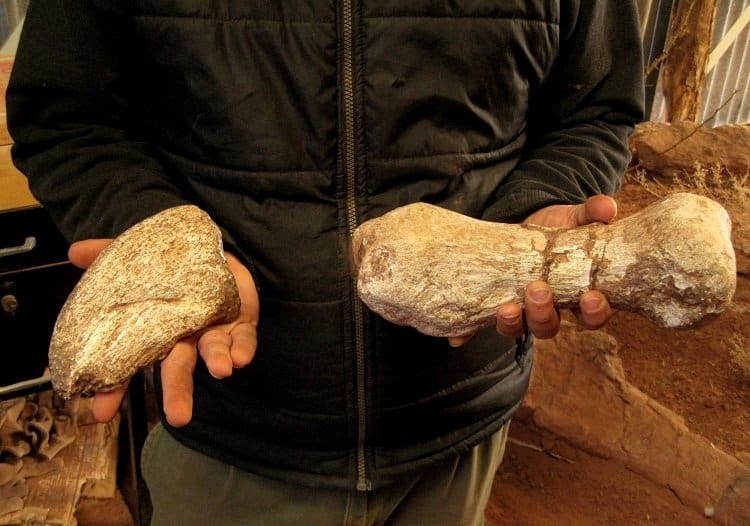 Our tour began with a look through the small museum, which contained both original fossils found at Barreales as well as replicas created to show the full size of the dinosaurs that once inhabited the area. We learned that most of the skeletons on display in natural history museums around the world are replicas due to both the sheer weight of the fossils and the need to preserve the original specimens. So it was a real treat for us to see real dinosaur bones, most of them not enclosed behind glass. 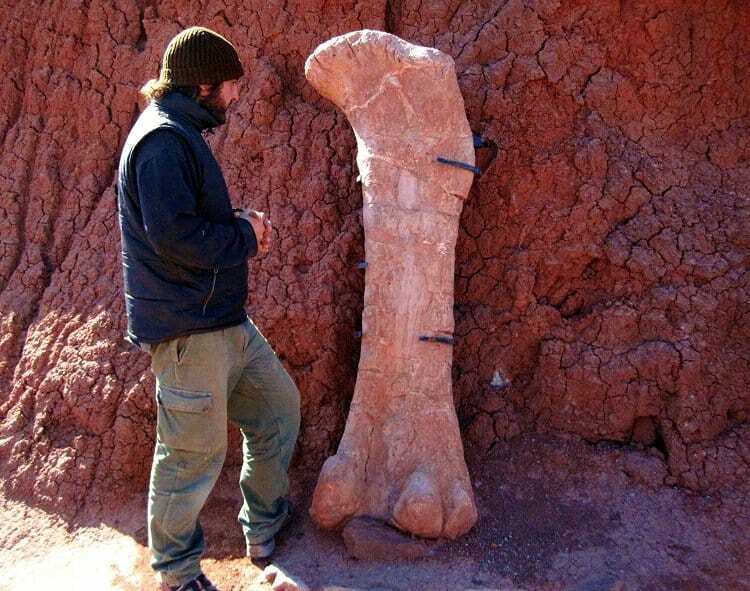 A femur (thigh) bone that was almost as tall as Gaston, our guide. A hip bone in cast. The pieces are very fragile and must be moved carefully. 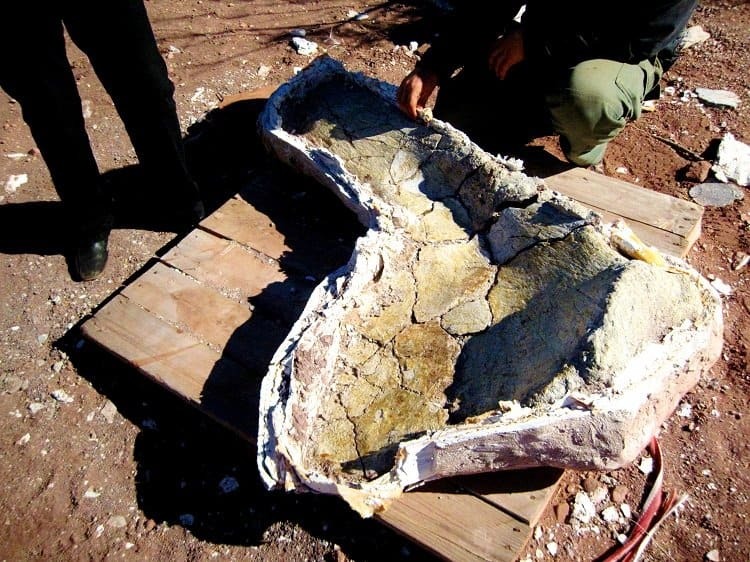 The species discovered in the Neuquén region include Gigantosaurus carolinii, Argentinosaurus huinculensis, Futolognkosaurus dukei, Megaraptor namunhuaiquii and Titanosaurus. In layman’s terms: some of the largest dinosaurs to ever roam the earth. Despite all the discoveries already on display, still more are left to be unearthed. We followed our guide out into the midday sunshine to see where the work was being done. Workers at the site are still in the process of removing these bones from the ground. 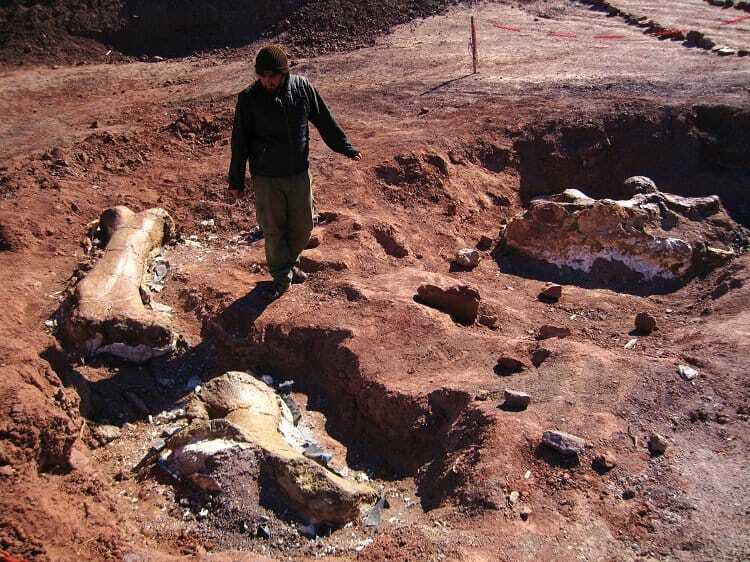 Something we really appreciate after viewing this site is the sheer amount of slow, painstaking work that must be done to find these fossils and remove them from the ground. Tiny paintbrushes and dental instruments must be used to avoid destroying the bones. This particular project has been going on for over a decade with no end in sight. Casts must be made around the skeletons to protect them during removal and once they are excavated and cleaned up, only then can the palaeontologists begin the process of examining and studying them. It’s amazing and really makes you feel so insignificant on this planet of ours. If pre-historic dinosaur bones can last this long, you have to wonder who or what will be around in another 100 million years? A number of sites in Neuquén have dinosaur displays for visitors to see. In addition to the Barreales excavation site, museums offer skeletons and preserved footprints for viewing. Museo Ernesto Bachmann and Museo Carmen Funes can be reached by bus from the main terminal in Neuquén city. Visit the Neuquén tourism office for maps and information. In order to visit Lake Barreales Paleontological Centre, a guide is required. We arranged ours through Arauquen. Getting there: Neuquén is accessible by bus or plane from major cities like Buenos Aires, Mendoza and Bariloche. The excavation site is located about 95 kilometres from the city. We found Neuquén to be quite off the beaten track for English-speaking tourists, though from the looks of the tourism marketing materials, the region is seeking to improve on this. Decent accommodation is expensive and the only hostels lie outside the city centre. This will probably not be an issue considering the lack of interesting things to do in the city, but hiring a car is recommended. We missed them but were told that a few excellent wineries are located in the region. Have you ever visited an excavation site? 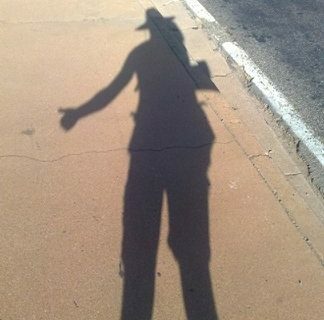 Damn cool! I need to make sure to visit this place when we visit Argentina!! Is it expensive to go there/to enter the excavation site? I have never been in excavation site, just the museums so far. Definitely worth it to see REAL bones…we’re trying to remember how much it cost, because we were told we had to go with a guide…including transportation and the guide who translates it was maybe 600 Argentine pesos for both of us? Not cheap, but worth it! I LOVE things like this! I can’t wait to stumble upon archaeological digs as well! I’m all about going out of my way for cool things like this! It definitely made Neuquen worth it! I’d love to know where some other digs are happening in the world that the public can visit like this one. Haha, so many blogging keywords! Now this is a place I’d *love* to take my kids – sounds like it might be a little challenging to get there, but well worth it.